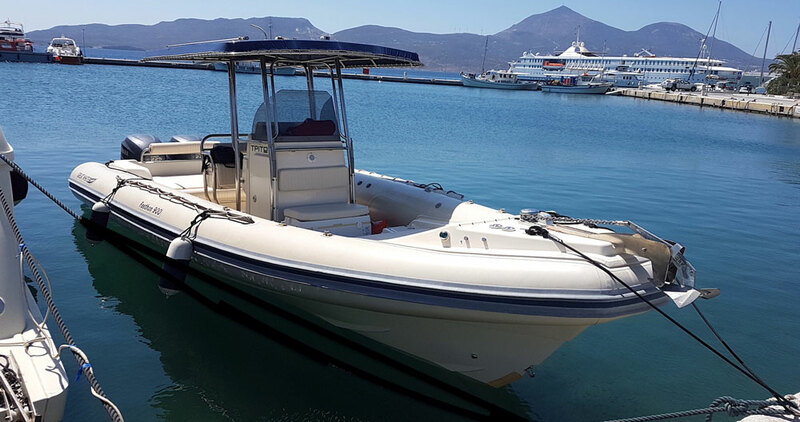 Great White 31 joined our fleet in early 2019! 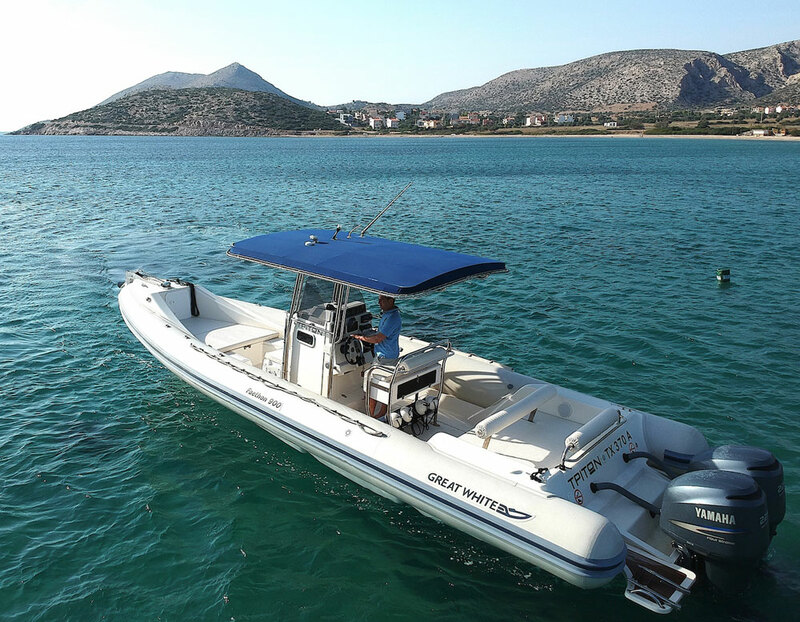 Great White Faethon is a new, open style RIB powered by twin Yamaha engines of 225hp each, and two very spacious sun decks. 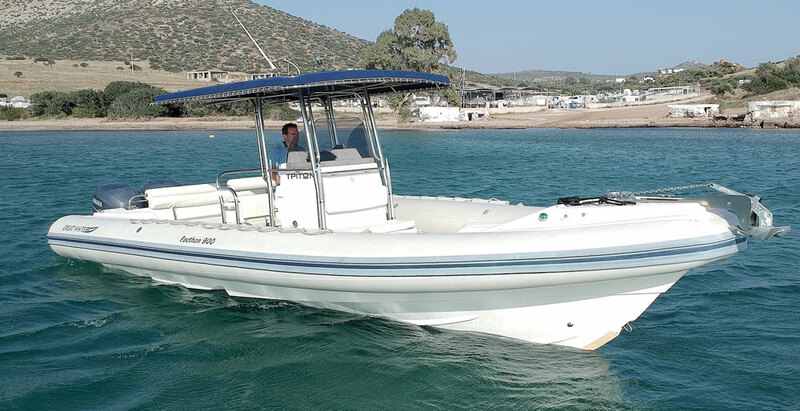 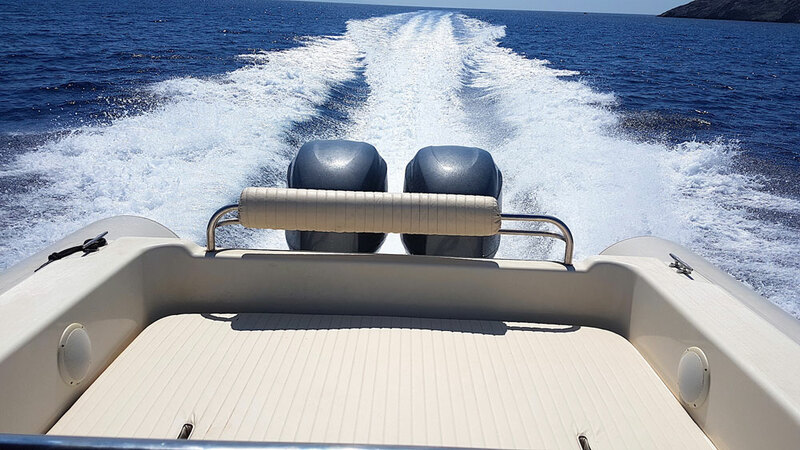 It is equipped with a permanent T-Top bimini offering shade during the journey, a WC in the center console and also a very stable canopy that can assure extra shade and sun protection in the front sundeck.